Shaping tomorrow’s media – today! Every month, BurdaForward reaches more than 38 million people through wide-reaching brands such as Focus Online, Chip, Finanzen100, NetMoms, The Weather Channel, Cardscout and EFahrer.com – this equates to 50% of internet users in Germany (AGOF daily digital facts, single month, November 2018, incl. advertising portfolio). Most of these portals are considered leaders in their field. BurdaForward consistently tailors its products to the needs of users to improve their daily lives with relevant and constructive information and services. With this goal in mind, more than 600 editors, developers and data/product experts shape the world of digital news from sites in Munich, Cologne, Frankfurt, Düsseldorf, Hamburg and Berlin. BurdaForward has also teamed up with numerous publishing partners around Germany and is building a publisher network to exchange content, knowledge and reach. In this way, the company aims to provide its users with a comprehensive information service and to play its part in the ongoing freedom of the press and diversity of opinions in Germany. In addition to its own portals, BurdaForward Advertising markets further digital brands such as TV Spielfilm, XING and HolidayCheck. One of the first digital marketers, the company focuses on user-friendly advertising. It also invests in innovative native advertising formats and the expansion of transaction business. Within the print sector, BurdaForward runs the Chip magazine, special technology publications and several photo titles. In November 2018, Digito – a Germany-wide daily newspaper supplement – joined the company’s print publications, offering advice on the digital world with a circulation of more than 800,000 copies. 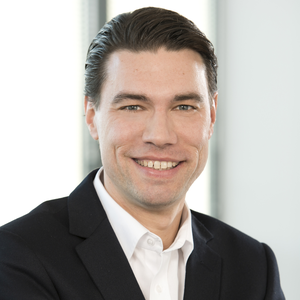 Oliver Eckert is the Chairman of the Board of BurdaForward GmbH and has been with Hubert Burda Media since 2009. He previously worked as chief editor for Bild.de. After studying business, he attended the Axel Springer School of Journalism and completed the Advanced Management Program at the Harvard Business School.